Tough marriage to find in grades above VF with a single PCGS AU58 leading the way. 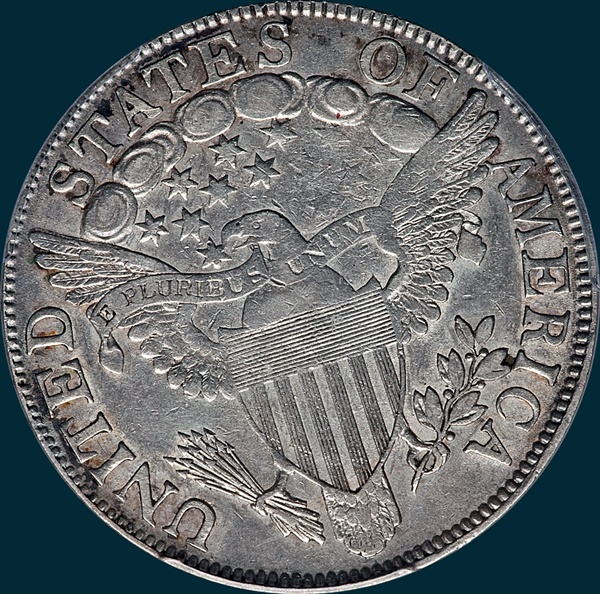 The strike on these tends to be weak on the obverse, so be aware that details especially on the obverse are distinctly lacking. 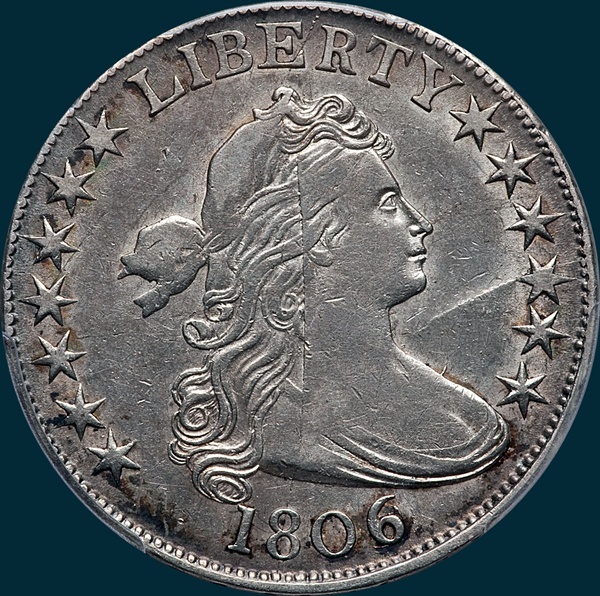 Variety Attribution: Obverse-1806 over inverted 6. Star 13 nearly touches bust. Date is 9 mm. and 1 nearly touches curl. First 6 was inverted in error then recut correctly. A small sharp spike protrudes into field from upper edge of bust. Die crack from milling through 8 across bust, head, and to edge between ER in LIBERTY. There is a new prominent crack from edge through star eleven to neck. Reverse-5 berries, the two above the branch and the lowest one have no stems and the two upper ones below branch have long stems. Left base of A2 is curved around end of fourth feather and solidly joined to M. Lower right base of F is missing. Eagle's beak is joined to star point. Leaf touches right base of I.